I didn’t find this nearly as good as Heart of Darkness. 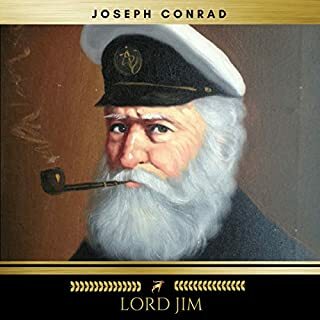 Marlowe, here, hints of something profound to Jim’s life, but his tale concerning his friendship with Jim and his ultimate demise fails to illuminate much beyond a superficial tale. This is the story of a young man overcoming his youthful fears by embracing the colonialism ideals that fueled the dreams of the western world at the end of the nineteenth century. A good story but it’s no Heart of Darkness. The narrator did a great job with this novel but I must admit I wasn't floored by the story. 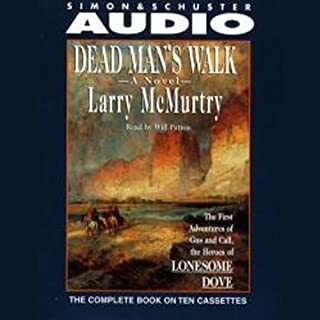 I'm reading the Lonesome Dove series in chronological order so maybe that's why; perhaps it's a gentle introduction to an intene Lonesome Dove upheaval ? I don't know but Dead Man's Walk is certainly enjoyable to listen to. I was surprised that this book is both a tragedy as well as a romance. It is altogether enjoyable and fun though I've yet to understand how the title reflects the story, unless it is description of the protagonist. You're no idiot, of course. Neither is the team of memory and linguistics experts who have designed the world's most effective foreign language self-study course. International travelers, students, and business people can now learn to converse in a new language in less than half the time they expect. Not as easy as the title implies! This is third language for which I've purchased these think these Idiot Guides, the others being Spanish and French. Overall I think they're pretty good insofar as these Learn a Foreign Language audiobooks go. While I found Paul Noble courses better, I point out that I use the courses differently. Noble's courses, as great as they are, don't lend themselves to rote repetition, whereas these do; that as, where Noble makes you think and apply what you've learned, the Idiot Guides seem best utilized by listening and repeating - over and over again. That's not to say that the Idiot Guides don't have quizzes requiring you to utilize what you've learned, they do, and they're good, but I found Noble's courses predictable and boring on repetition due to the training method, whereas these are geared more to repetitive learning. I use these Idiot Guides in that fashion. 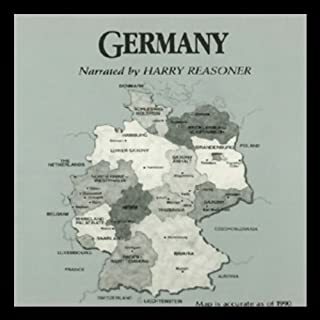 I listen to the audiobooks in sequence (I currently have 1 and 2 of the German series and plan on getting the third soon) and, upon completion, start again at 1, listening to them in 30 minute or so sessions each. I've found this method to be both enjoyable and instructive. Each time around, I get a little better. 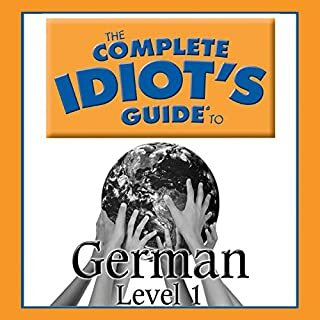 German is a difficult language, but, like Latin, it is also kind of fun. With practice and patience, I am confident it can be mastered. Plus hanging out with Germans doesn't hurt. And though both may, at times, be vexing, the pain only makes the reward that more triumphant, rewarding and sure, whether it be in pronunciation, declension, respect, love or friendship. 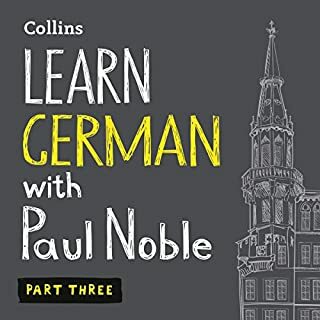 As someone else mentioned, most, if not all, of this material comes in the first Learn German Audible book. 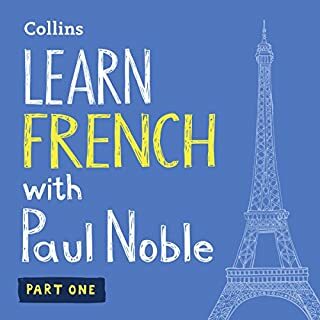 This is an excellent audio course that gets you speaking French right away. It is geared for the traveller so expect to learn phrases you may need while visiting France or any of the Francophone countries around the world. With this course, you'll learn enough French to function with it. Native speakers will be impressed and warmed by your efforts to learn their language. By far the best of the foreign audio languages I've ever used. This really does work. Enjoyed hearing Harry Reasoner's voice after all these years. Anyway, its a fun, not particularly detailed romp through Germanic history. We're here to help you discover the shining city of Munich for yourself! Passport to European Travel Guides offers this comprehensive, yet quick and concise, five-day guide to Munich - the sparkle of Germany! Would you try another book from Passport to European Travel Guides and/or Colin Fluxman? Not in the same format. Which character – as performed by Colin Fluxman – was your favorite? 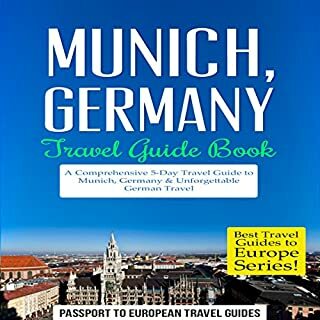 What character would you cut from Munich, Germany: Travel Guide Book - A Comprehensive 5-Day Travel Guide to Munich, Germany & Unforgettable German Travel? This seems more like something a blind person would appreciated since its mostly a listing of tourist-related things, e.g. hotels, walking tours, passport info. Along with each agency, the narrator speaks the addresses and URL's ("dot h t m l", etc.) which gets boring fast. This did not translate into the audiobook format very well. But the narrator has a beautiful voice. 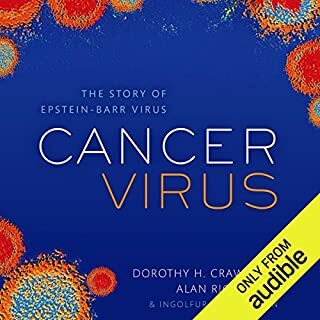 The Epstein-Barr virus (EBV) was discovered in 1964. At the time, the very idea of a virus underlying a cancer was revolutionary. Cancer is, after all, not catching. Even now, the idea of a virus causing cancer surprises many people. But Epstein-Barr, named after its discoverers, Sir Anthony Epstein and Dr Yvonne Barr, is fascinating for other reasons, too. Almost everyone carries it, yet it is only under certain circumstances that it produces disease. Enjoyable history of the discovery of EBV and its related diseases. The narrator took me a little while to get used to but eventually I grew to enjoy some of his idiosyncrasies. Well done, overall. Shy, fragile Fanny Price is the consummate "poor relation". Sent to live with her wealthy uncle Thomas, she clashes with his spoiled, selfish daughters and falls in love with his son. 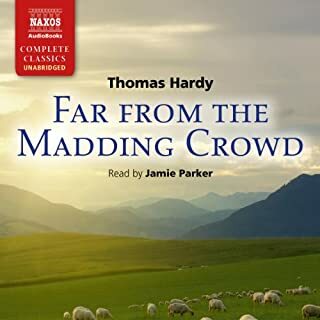 Their lives are further complicated by the arrival of a pair of witty, sophisticated Londoners, whose flair for flirtation collides with the quiet, conservative country ways of Mansfield Park. This is a thoroughly enjoyable book and I am quite impressed by Miss Austen's work. 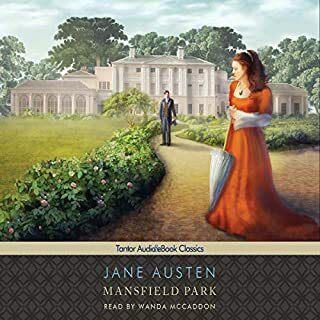 Whereas I could not finish Pride & Prejudice and liked Emma, I consider Mansfield Park a prime example of fine literature and I look forward to reading more of her novels though, after reading this, I fear I may be disappointed.